I was on TV! 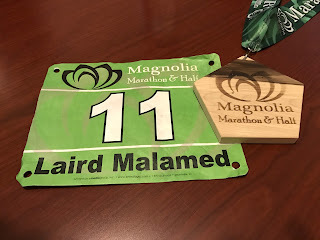 State Marathon 47 in Mississippi! 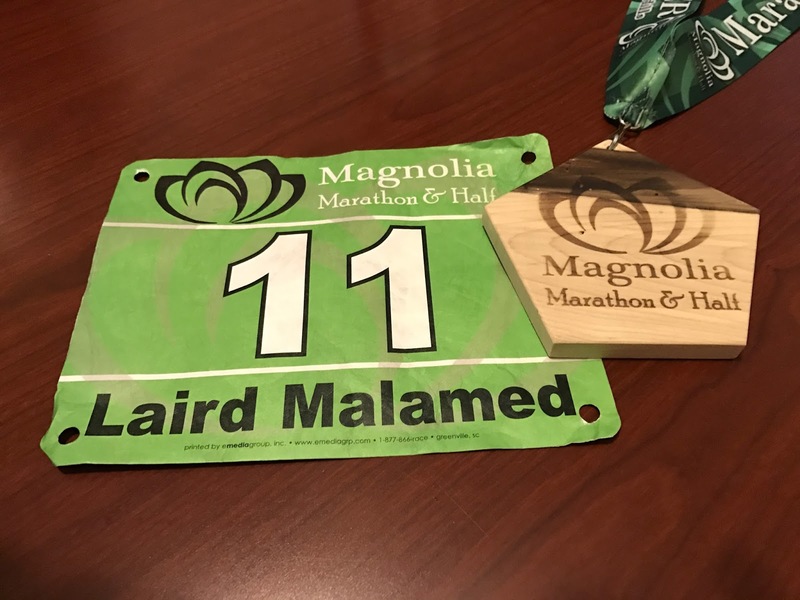 State 47 is in the bag with the Magnolia Marathon in Meridian Mississippi! A great 3:29:16 in hilly, windy and chilly conditions, and my 2nd Boston Qualifying time in 4 weeks after the Grand Rapids Marathon 3:23:17. One thing I love about these small marathons (I came in 3rd out 33 and won my age group) is that you get to talk to people. 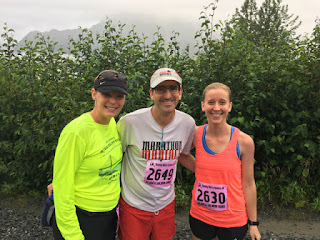 I chatted with the winner Melanie and 2nd place finisher Jack before the race at the start line. We were all too timid to actually start in front but ultimately we were the first 3 to bolt out and first three to finish. 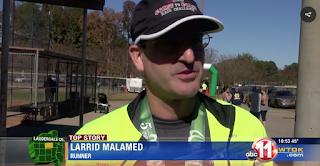 The race directors were great (Marathon Maniacs), and while the course was pretty empty and challenging, everything went well. Down a bit, up a bit. Repeat. My goal for the day was 3:30, so I hit it perfectly. This took a lot of effort because of the up and down nature of the race. Shorten the step up the steep bits; don't let the heart rate go crazy. And use the downhills to pick back up the pace, but do not go crazy either since your quads will hate you. The temperature was nice - in the 40s to start and in the 50s at the end. But we had about 10 miles/hr headwinds for a good part of the course. Not fun! Happily, those were tailwinds for the last quarter, but you never get an equal payback for the pain. After the first half, the course was deserted for anyone cheering except at the aid stations. I was glad to have my Star Wars marathon playlist. Did I mention I was on TV? I wanted to share this link of me on TV for the local news station. Alas, my hat's visor shadows my eyes! Oh well. And they spelled my first name wrong. Oh well again! But I was on TV! King Salmon (Marathon) Caught Hook, Line and Sinker! 3:39 in Cordova Alaska for State 41! Marathons Complete! Read below about Alaska. Utah coming soon. Fundraiser going strong - just over $23,500 at https://www.justgive.org/lairdo49 and with personal checks being sent in. (The justgive site only shows the total through them.) We match ever $, so that’s $47K - less than $2K away from the $49K goal. Only $1000 more since we double it! 3 complete which was the July goal. Need 3 more in August! Alaska was 41. Smashed Utah today in 3:41:04 time - state 42 done! Still going strong! Currently at 1,279. After today's running. I am 25 days ahead of schedule. The team is nearing 550 miles complete - over 15% and on track for a November 22 finish, 6 weeks ahead of our schedule! 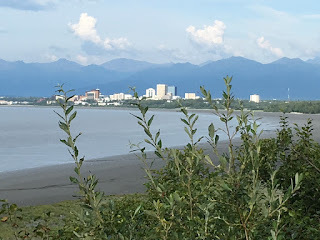 After sparkling blue skies in Anchorage, Saturday, July 16 dawned with a light rain and overcast conditions. 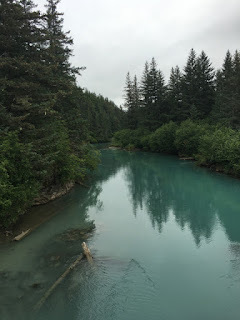 Little of the natural beauty of the Cordova area showed itself as I walked from my basement apartment rental to the gathering point for the King Salmon Marathon. Prepared for the possibility of moisture, I had with me a rain cover I could run in - Cordova is in a rain forest area - and rather than be disappointed, I was excited what cool temperatures and a lack of direct sun could offer. A bus ride and less than 5 hours later, I found out. My best time in nearly 3.5 years and in 30 marathons: 3:39:17 and state 41 completed and in the books. I also found the charm of this small town running event and the people it attracted to the mouth of the Copper River. At the end of this post, I’ll go into the combination of factors why I feel I did so well. In short, the conditions were perfect (weather, course), I was well trained and once I decided to aim for 3:39, I ran the plan perfectly. Let’s focus on the people - all 18 of us in the marathon - instead of the statistics. 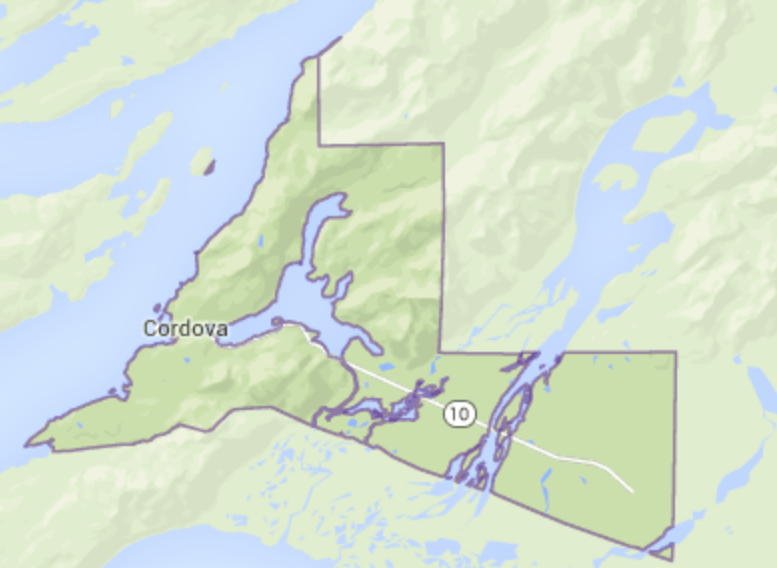 Cordova sits in Prince Henry Sound about 200 miles SE of Anchorage. 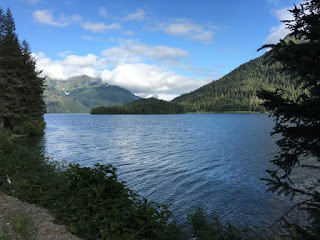 Plane and boat (a 5 hour ferry ride from Whittier, itself a 1.5 hr drive from Anchorage) provide the only scheduled access; there are no roads to area. 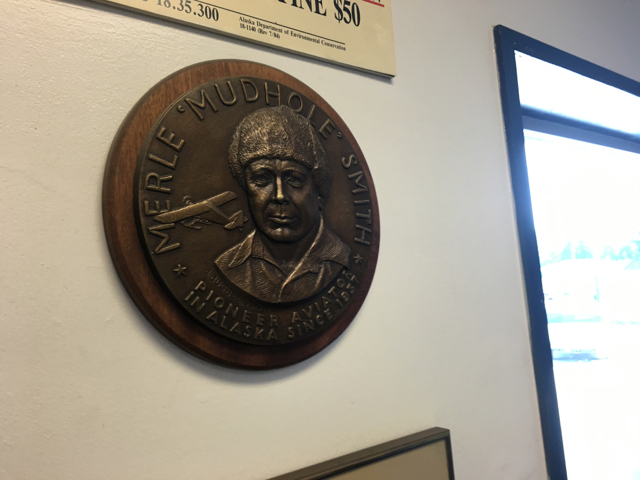 In fact, one of the key people involved in building Alaska Airlines, “Mudhole” Smith, was from Cordova and his small carrier became part of the group that formed the state named airlines. He ran the combined company for many years. His name adorns the large shack that serves as the gateway to Cordova. The area is famous for the Copper River which provides exceptional salmon to around the world. 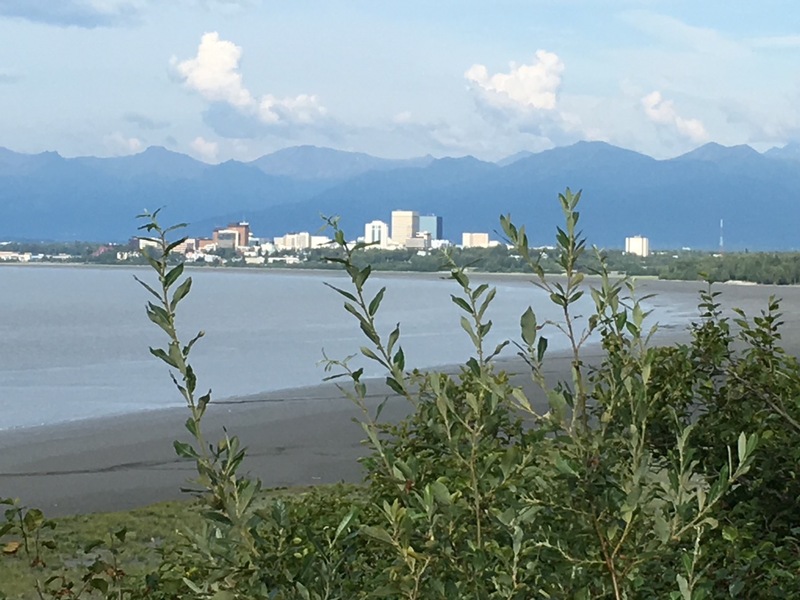 Spanning nearly 20 miles at its widest, the Copper River Delta sits a few miles from the town center of Cordova. Cordova itself is a harbor and town built up a slope of a steep hill. 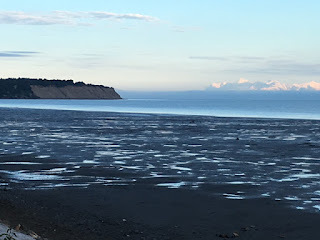 That hill and another form the edges of Eyak Lake, a Y or T shaped body of water between Cordova and the Delta. 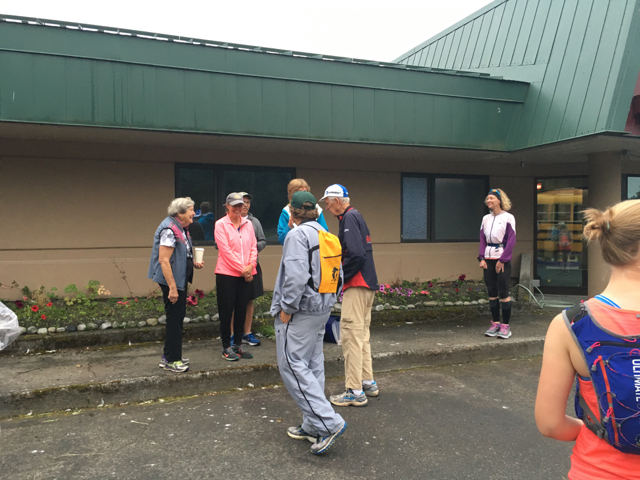 Runners were asked to gather at the local hospital on the banks of the lake. Kristin Carpenter, the race director for the last 10 years, took attendance. To my delight, I found that I was not the only person celebrating a birthday. Michelle, originally from Kansas, but now living in LA, turned 30 on the race day, Jennifer, from Arkansas, turned 39 the same day I notched 49 on July 12. The other 15 runners were silent as to their birth anniversaries, so I think 17% of the field was enough above expected averages. For some reason, I through we would have about 40 people in the race based on previous years, but actually when I looked at past results, I am not sure where I found that assumption. In any case, the 18 of us plus 4 half-marathons who were starting early so they could walk their 13 miles, boarded a school bus for a 45 min ride to the start. The Marathon route begins 15 miles past the airport at the far end of the Delta. 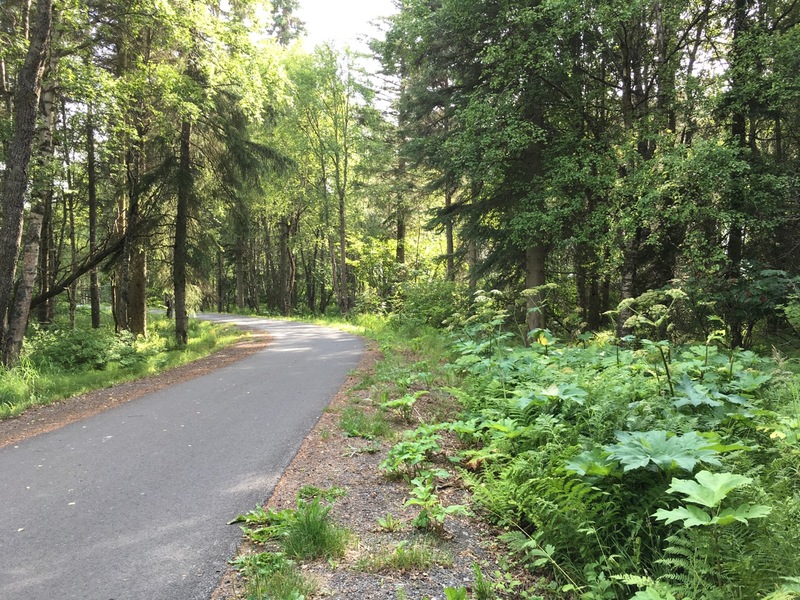 Almost entirely run on Alaska 10 (Copper River Way), the nearly straight and flat gravel road becomes paved near the airport and then rises slowly to get over Eyak River as it exits the lake. The last few miles curve slightly around the lake edge before the one 90 degree turn of the race turns into the finish area at the local hospital. And we were off. Despite the cloud conditions, the scenery was great. Splashes of water from the river coursing through the marshland. Views of distant peaks and the Childs Glacier. At one point, I ran over one of the dozen bridges and felt a blast of 10 degree cooler air that could only be blowing off the ice. The water was so blue too. Birthday girl Michelle confirmed she felt and saw the same, so we were even equally hallucinating or the experience was real. Later, when talking to my landlord for the weekend, Bill, I learned that Cordova has gone three winters without much snow. The 4th year back had 30 feet of snow. 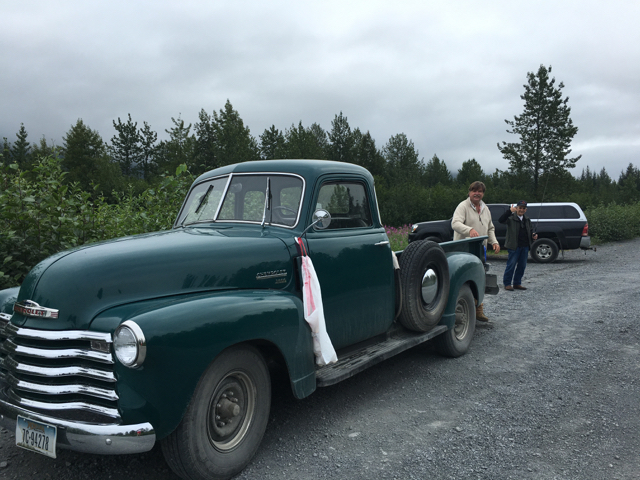 From eastern Washington, Bill had chased adventure up to Alaska 38 years ago, and he has not looked back. He now splits his time running a very successful boat salvage and rescue business and serving as mechanic on ships and vehicles. He likes anything big and bigger! His wife Shelly works on road construction projects as a flagger - she is one of those people flagging traffic along. They actually end up spending a lot of summers apart because she goes off to these projects, and he gets called to weeks long rescues or salvage operations. He told me about a 6 week project were they raised a boat out of the water, got it on a beach and then camped amongst bears and wolves while they dismantled the boat for a 10 mile sledge to the only nearby airstrip. A WWII era DC-3 was used to fly loads away. Bill was never far from his shotgun in case of animal attack. Bill told me all this without any desire for the experience to be different. Growing up in LA and living in big areas like London, San Francisco and Boston, these stories sound like modern adventure tales. With only 18 people in the race, it’s easy to include here the full finisher list. 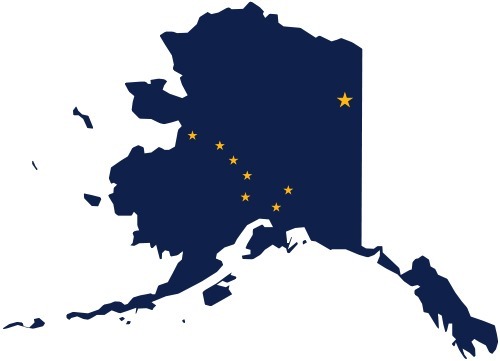 5 of the 18 were from Alaska and only 1 from Cordova. 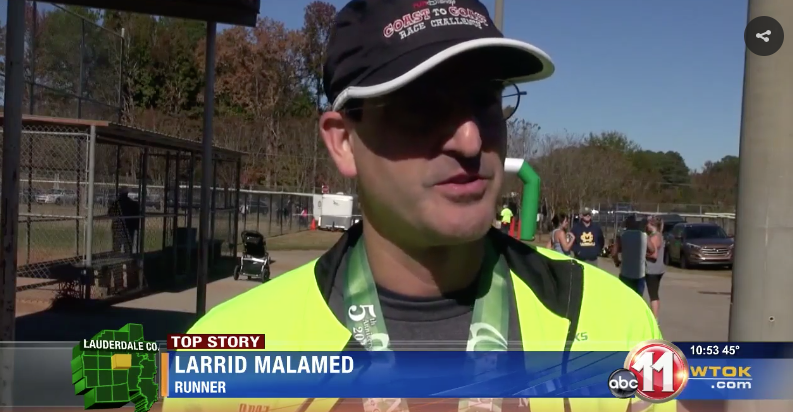 I spoke to John, the winner, and his wife after the race. No one disappeared quickly from the finish area so in fact I pretty much spoke to everyone! John and I will be running the Desert News Classic in Utah tomorrow as I type this. John blasted the sub 3 hour mark. Even with the straight road, I never really saw him. His wife, also a runner, had decided to only do the 1 mile race (more of a kids affair), and John joined her after his finish. 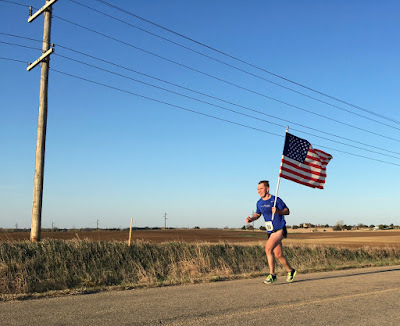 Another runner, Rick Wood finished his 49th state. He’s running his 50th in Hawaii next June in the same race I am planning. 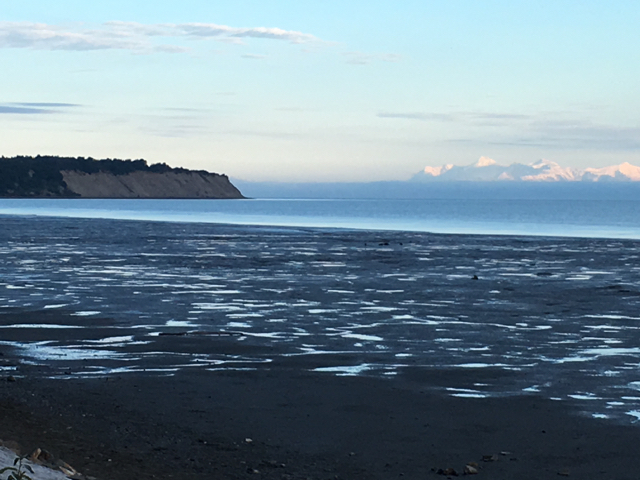 Jim Moore from Illinois finished his 50th in Alaska. Jessica Glass, who I ran with for about a mile, finished her first marathon in style by beating 4 hours and winning the woman’s side. (I was 4th for the men as well as overall.) Vincent Ma, another Marathon Maniac, and I chatted on the flight from Anchorage and on the bus. 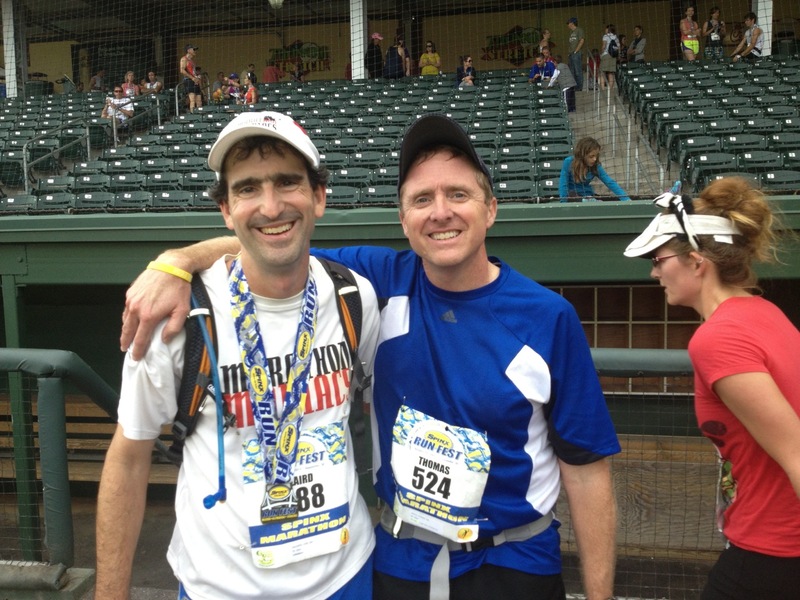 He and I have run at least one other race toughener but neither of us could remember which. I spoke with everyone in this paragraph and others as well on the bus, during the race and at the airport the next day! It was as if a small community had formed. As we ran back in from the start (the drizzle had stopped so we could strip down to basic running shirt and shorts), we occasionally saw the bus bringing out people for the shorter distances all of which started on the same route but at closer in points. The half marathon bus was pretty full and a second smaller shuttle followed. There were multiple buses for the 10k and 5k. They all cheered us as we passed them driving out. Around mile 19, I caught up with the four people walking the half who had ridden with us and then been driven back 13 miles to that start point. I chatted with them for about a minute. We commented how much we were enjoying the natural scenery. Normally in a race, you see mile markers telling you how far you have run. Here, the markers were counting down how many clicks were left. This made sense for all the race distances. No matter which you were commencing, the distance to the finish would always be correct since the races shared the same end point. Initially finding this odd, I actually enjoyed the set up. Despite the fast time, I did not feel too badly. I was tired but was quickly revived by post race food. 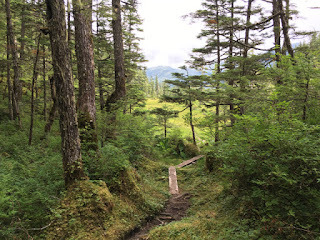 Later that day, I took a short 2 mile hike up above Eyak River into a meadow in the hills. With little wind, it was so quiet I could hear my heart beating. The sun was making some appearances finally revealing more of the natural beauty. 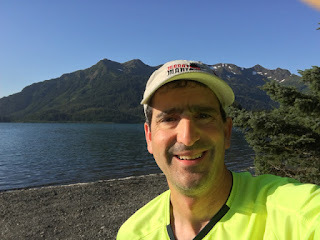 The next day, I did a final 10k run along another side of Eyak amongst crystal clear skies glad to have those conditions on the shorter day than during the marathon. I am often asked which is my favorite marathon. I’ve just about enjoyed almost all of the 67 to date. My fastest, the Lost Dutchman in Arizona and the one in Antarctica rank at the top. New York, Boston and London were amazing. But Cordova is one I would do again. 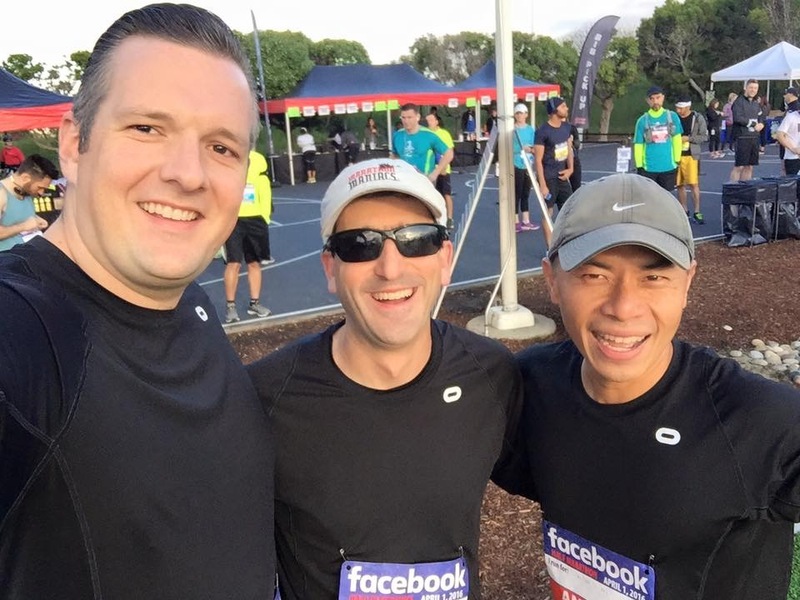 I have run smaller races - but only in and around LA with local run organizers. 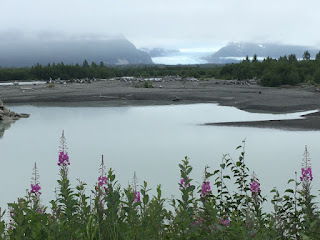 This area and the state of Alaska gave me a sense of the adventure Bill had sought when he moved there. Certainly the race provided plenty of excitement for me due to the great time, but I think what turned effectively a solo run into a strong memory was the sense of people involved and getting to know more about each of them. 41 Complete! 9 to go! Why did I run so well? My PR (personal record) happened on my 3rd race - the 2008 Lost Dutchman in Arizona. That 3:19 time qualified me to run my one and only Boston Marathon in 2009. I have said for years that conditions that day were just right. My next fastest time was my 4th race, this one in Japan, at 3:25. Then it’s 2010 Adelaide Australia one at 3:31. Cordova’s 3:39 was my fastest since a 3:37 in New Orleans in February 2013 - 30 marathons ago. So what worked? Was it my birthday inspired 2649 bib? Probably not as any marathon race goes well due to any number of factors. Here is a list of the perfect combination from last week, some of which cannot be controlled. While not great for the photographs, the cool 50 degree Fahrenheit weather with no wind and no sun is just about perfect running weather. The body is very comfortable at that level. It does not expend extra energy to stay warm (the run does that enough) and does not have to overly sweat as it does with the weather going into the 60s and beyond. Again, not a course people look at and go “neat!” The effectively straight line though means I did not lose distance (and hence time) to turns which are difficult to take perfectly to keep to the 26.2 miles. My total count that day was 26.25 miles. I have run marathons with over .5 miles extra on my watch. Each .1 mile takes about 1 min to cover. So, I only lost 30 seconds to the measured distance in Cordova. While a gravel road is not as nice as a dirt road, it still is softer than concrete or asphalt saving wear and tear on the body. Because of my work and race schedule, I had not run a marathon since May 1 in Ohio. For me, that is an entirety! But the body likes the time off! 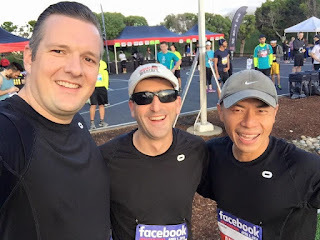 I ran a number of tune up races since May 1 starting with a 10k and half in Disneyland, followed by a few other 10ks and a hilly half marathon. I also had been working on hills and longer distances a lot on my training runs. Hills are great for endurance because you can gain a lot of cardio without running as far. The work comes from the elevation gain. And finally, I've seen my training pace drifting down to 8:05-8:10. I'm not sure why, but if I don't think about my speed, I find myself running in that range. I made sure to average 7 hours per night the week of the race. This was despite traveling to Alaska and getting up early a number of days to run and bike. 8 is the official goal, but I don’t seem to find much difference between 7 or 8 per night. I also took off July 13 and avoided email that day for a real day off as I flew to Alaska and explored a bit of Anchorage. Separately, I’ve been working with a chiropractor to keep the body set right and taking in the right vitamins etc. My goal in any marathon is between 3:45 and 4:00. To get to the lower number, I know I need an 8:30 min/mile pace. So, with the conditions in great shape, I went out at 8:30 for the first half. I stuck to this plan and in fact hit the first half in almost exactly 1:52 - just under a 3:45 time. This is where I turned it up a notch. To beat 3:40 (as I was now wondering if I could), I ran from 13 miles to 19.2 miles - a 10K - in a sub 8:00 min pace. Basically a 49 min 10K (6.2 miles) in the middle of a marathon. I knew from my recent races that I could do a 45 min 10K (separate from a marathon), so this longer goal seemed doable and was. Once I hit 19.2 miles (and took that 1 min walk break with the half-marathon early crowd mentioned above), I then aimed for about 8:20 to close out. I had to push through miles 22-24 dealing with the heavier air, but I stayed with it. In short, 67 marathons will give you a lot of experience to know what you can and cannot do. I went for it. Being my birthday week, I received an abundance of good wishes and cheer from all over the world - I think I got messages from five continents! Plus the fundraiser has been going well. In short, all of your put me in a great mood! Thank you! Remember back to that post from oh so long ago - yesterday? The one where I wrote about 2016 miles in 2016? Well, the company behind that, Running the Edge, unveiled a new gauntlet a few weeks ago, and it kicked off on July 4. But instead of tackling this alone, I teamed up with 5 others from Oculus to show our determination and stamina. 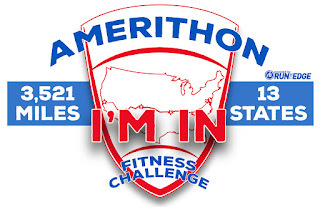 The goal is a 3,521 virtual run across the US from the Golden Gate Bridge to the National Mall in Washington DC. While the “Amerithon Challenge” has no official time maximum, the guidelines strongly suggest to complete the miles within a year. Our team, Stephanie, Hala, Andrew, Ruben, Matt and me decided we would do this in just 6 months. This is not a strictly a running event. Everything can count - bike rides, hikes, swims, elliptical machines and even walks. So, now nearly two weeks into the event, I can happily report that we are well on our way with over 250 miles in 12 days. Our projected finish is December 14 - just 5 months from today. What is so much fun about this is that we are doing it as a team. We get notifications when any of us finishes an activity and then we give kudos on Strava and likes on MapMyRun. In fact, I would say that all of the running I have challenged myself to do this week has been greatly enhanced by these social platforms. Besides tracking my data and giving analysis, the sites connect me to friends so i can see their successes and send accolades and messages. 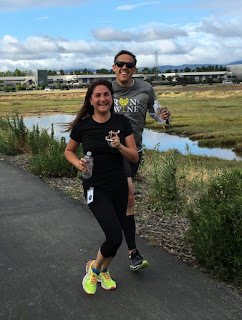 Strava includes an option to add photos, and I find myself looking for opportunities to get shots to enhance my logged workout and then I look to see what other people posted. Of course, the six of us work for the biggest social media company in the world, but for some reason this is different and does not feel like work. Stephanie and Laird in the Weifang China Gym at 6 am! I think it also helps the everyone on our team went through the Rift launch with many of us spending time in China together including at the gyms of our numerous hotels around Asia. It’s great to be teamed up again on something just for us. So when I run those 49 races or finish my 50 state quest or cross 2,016 miles, I know my running/biking/swimming friends will all be cheering me on even if they are not present to see the actual finish line. And I will do the same for them on their goals. Hala and Laird Guarantee Victory! The 2016 fundraiser is going strong! https://www.justgive.org/lairdo49. Thank you! 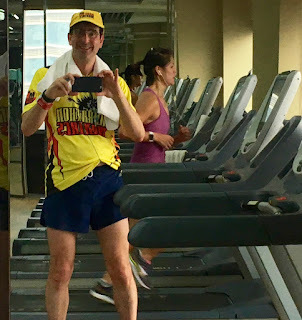 As I have been doing this week to celebrate turning 49 (see post 1, post 2 and post 3), I’m challenging myself to finish a number of running related goals while trying to raise $49K or more for charities I support. Challenge 4 actually started in January. 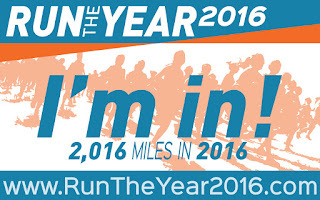 My friend and coworker Andrew put me on to this one - running 2016 miles in 2016. I think I have done this many annual miles before - maybe once. So, I bit at the challenge. There is an org called Running the Edge that offers up a website for this virtual event. 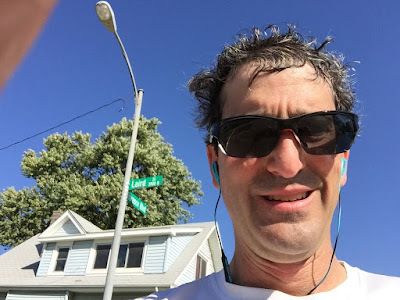 What I liked about the idea beyond just having another test of my fitness is that it starts to move me toward that third 50-50-50 goal - the goal of running across the US from the west to the east coast. 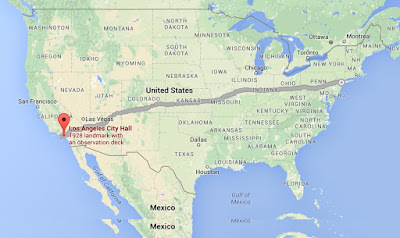 That distance is about 3,100 miles from either San Francisco or Los Angeles to New York. 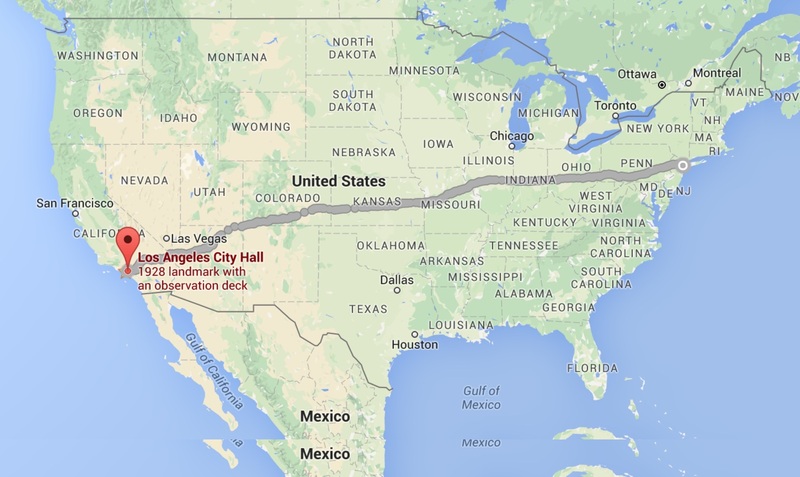 Apparently, to be officially recognized as running across the country, one has to run from one of those city halls to the NYC one. I have no idea why this is the official distance, but at least it is not Seattle to Miami! Or Nome to Key West for that matter! It's a long way across the US! My guess is that I need to plan to take 120 days to do this trying to average 6 days running out of every 7. That’s basically 6 marathons a week! So, I have a lot of running to do to bring me up to that level. This 2016 in 2016 challenge seemed the perfect way to start! 2,016 miles equates to 5.5 per day. I am averaging 6.0 so far this year, so I will actually reach 2,016 early in December with my weekly 42 mile average. I’ve pounded out 1,172 as of this writing. So, what happens next year? 2,017 in 2017? Well, next year turning 50, my plan is to aim for 2620 miles - or ~50 miles per week. A lot of this will depend on how running is in the winter months in Seattle. 50 per week is 7.2 per day. When then do I think I can attempt the cross-country personal cannonball run? 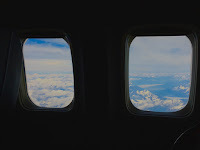 Right now my thought is to look at between 2020 and 2022 and try to leave from Los Angeles around March taking advantage of the warmer souther route to cross the Rockies and to hit New York around my 53rd birthday. A lot will depend on logistics for this effort. I suspect besides getting my running up to enough miles that the logistical prep itself will take a good year. I will need a support crew, and I will be running to raise money plus hopefully I will have sponsors. Lots to think about! Quite a project and frankly, I really don’t know what this will be like. That’s partly what makes it an interesting challenge. I knew I could run 50 miles (or at least run most of it). 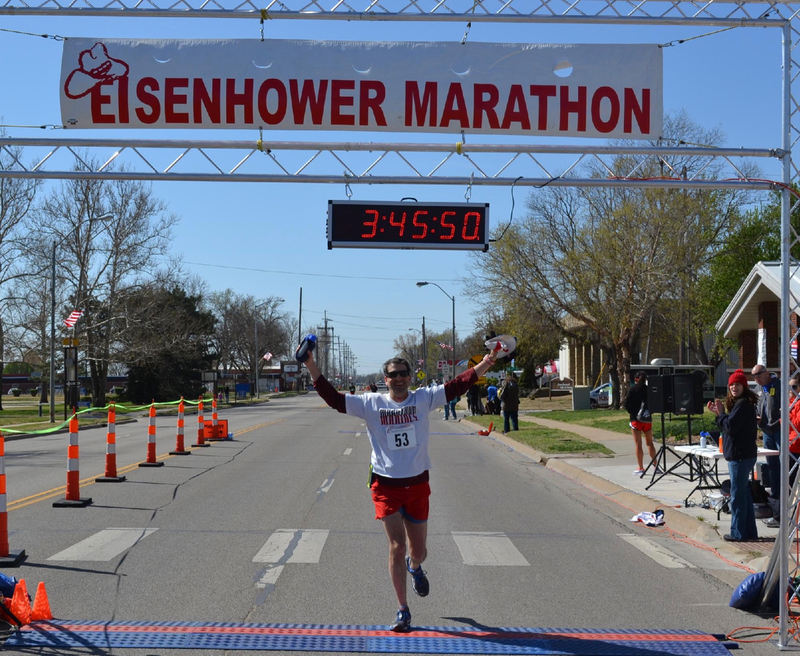 I feel good about the 50 state marathons. I’m close enough to get it done and there is no real consequence to missing by even a few months should that happen. The deadline is arbitrary. I will still have run all 50 states. Yet, if I step a foot towards the Big Apple with the intent of showing up there in 4 months, it’s go time. I don’t get to reach Missouri and then decide to finish next year. I either fail or succeed. Not much wiggle room. No one cares if I run to Kansas City (sorry my KC cousins!). Running 1,500 miles sounds hard enough and if that were my goal (how about Vancouver to San Diego?) then it would be achieved, but if I say I am going 3,100, I better be prepared for it. Rain, wind, maybe snow. On the road. 5 hours of running a day. For 120 days. Anyway, first things first. 2,016 miles in 2016. 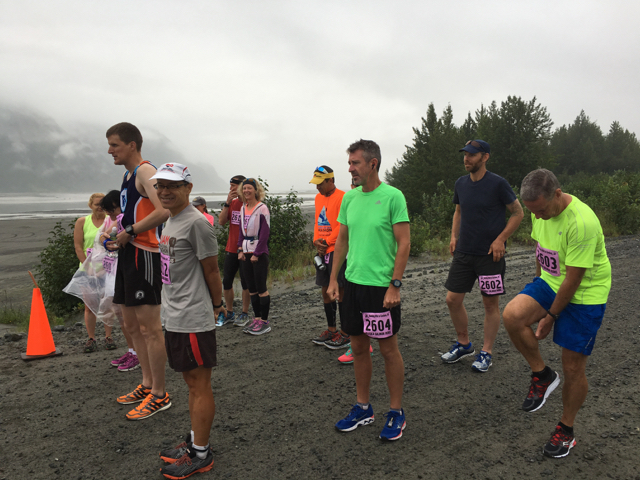 26.2 of those will be Saturday here in Alaska. And in 2017, 2620 miles! This is challenge post 3 of 5! Read the first and second, and please consider supporting my fundraiser. Thank you to those who have already been so generous. We’ll be matching every dollar donated. https://www.justgive.org/lairdo49. We passed $13,000 today and that is pre-matched. Today’s challenge post is about one I put out in my 50-50 post in 2011. Back then I declared I would run a series of three 50 related questions. The first which I finished in November 2012 was a 50 mile race - the JFK 50 in Maryland. 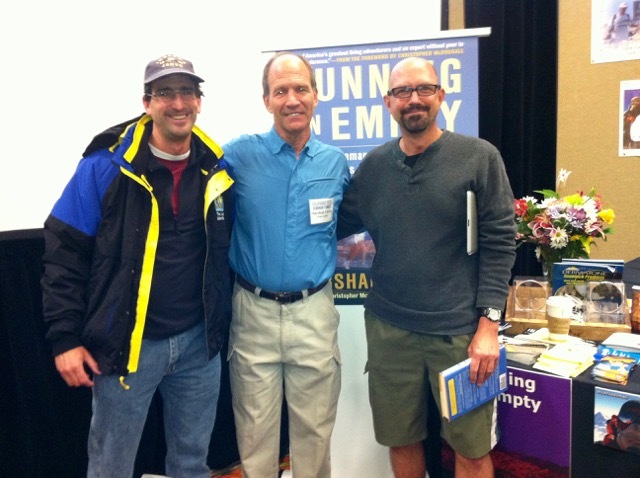 The third is to run across the 50 States from the west coast to the east coast. That is still in my plans, and I’ll have more on the multiyear prep for this in tomorrow’s and Friday’s blog posts. So, today, we’ll look at the middle goal of running a marathon in all 50 states. 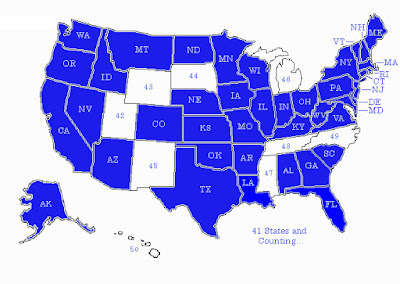 My friend Miri first seriously put my mind towards running a marathon every state in the union. She invited me to join her running in Fargo in May 2012. 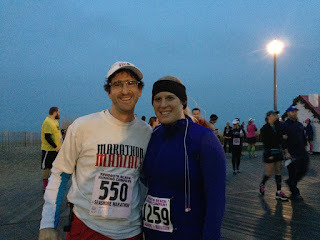 She did the half, and another friend, Heather, and I ran the full. I think I had been planning to run at least a 10k in every state, but North Dakota (my 7th state) gave me the bug. Shortly thereafter in July 2012, I declared my 50/50/50 goals. Going into Saturday’s marathon here in Alaska, I am sitting at 40 completed states. This year has only had me find time for 3 so far. That’s what happens when you ship consumer virtual reality devices to the world. 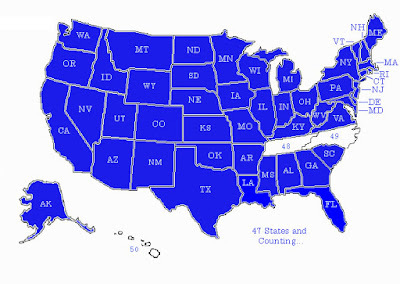 With now under 12 months, I still need 10 states. But I have a plan! As you know if you have been reading this weekend, states 41 and 42 (Utah) are planned for July. I then take August off (not many marathons in August) and look after Wyoming and South Dakota in September. Right now, it looks like those will be followed by New Mexico, Michigan, Mississippi, Tennessee and North Carolina. Hawaii has always been planned to be last as the 50th state is a favorite for people to finish their quests. No reason that should be different for me. But what’s the point of all this flying and running around? 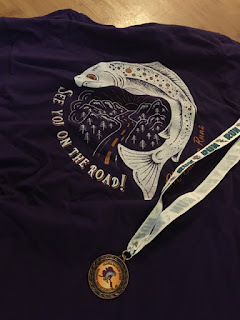 I’ve never really had a marathon I severely Mad Marathon in Vermont) and supposedly flat piece-of-cake ones that sucked all my energy (Turkey Swamp 50k in New Jersey). Yet in each case, I can think back to an interaction on the course or prior to the race that made each one special. For example, I ran the Spinx Marathon in South Carolina with my friend Thomas. He landed a PR! How awesome is that - I got it all on my iPhone as we finished. Or finding a place at Churchill Downs in Louisville to get a good shot with the spires and helping a fellow runner do the same? 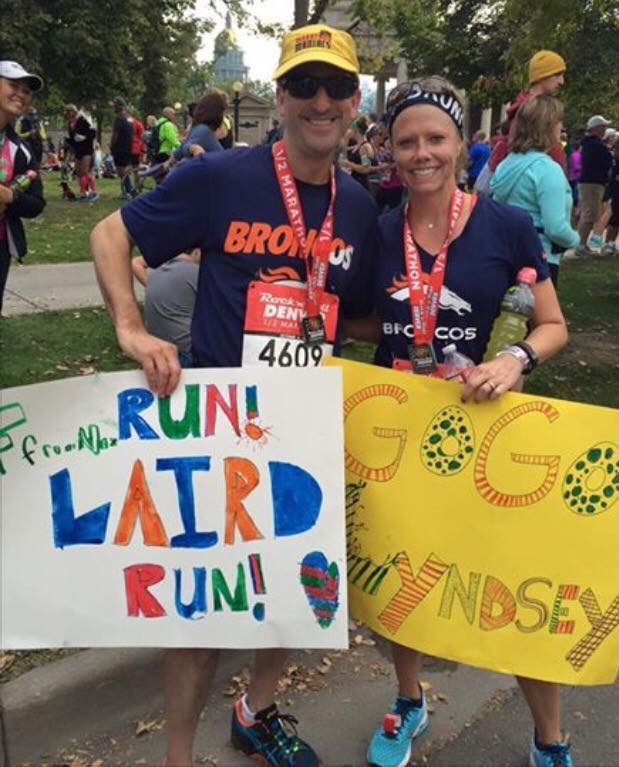 Or running with my awesome Fort Collins buddy Lyndsey on a number of races in two different states! 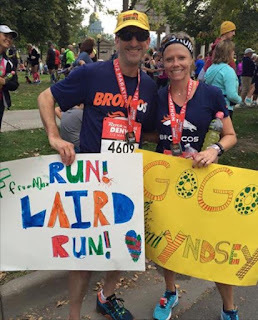 And I didn’t mind seeing “Laird Street” when running in Omaha. Cordova, home of the Copper River Wild Festival and the King Salmon Marathon will be interesting. Only 40+ people ran the full marathon last year. I’m ok with small races - I run ones with as few as 5 although never to complete a state. However, I think being in the town for it’s annual celebration of fish could only be fun. I will be slightly disappointed if I don’t get handed salmon in some form on every block. Ultimately, running events are a great way to see cities. You run through a big portion of them. 26 miles is a lot of ground to carry in most urban areas and in rural ones you get a lot of countryside thrown in. And you meet fellow runners often from the local town but often fellow road warriors like myself. 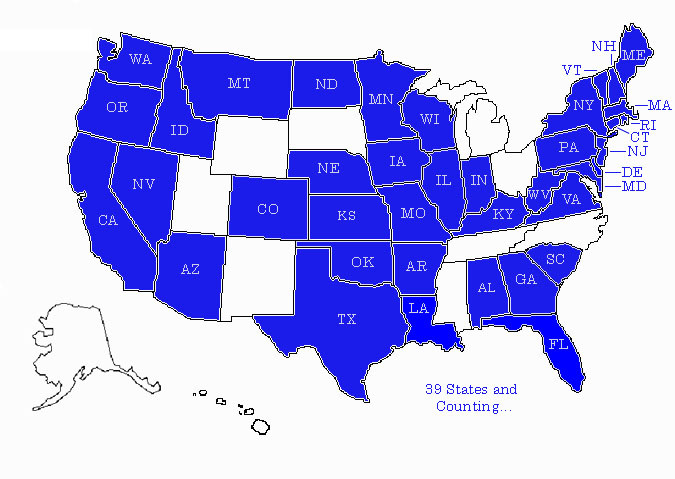 Do I have any worries about finishing up the 50 states in a year? I feel this is totally doable, and barring crazy things like races being cancelled do to weather or some other such thing, I should be ok. Even then, other than Hawaii, I think every state I am doing has another marathon between my target date for each state and me turning 50. In other words, I have back up plans! The key will be staying healthy and able to manage the travel while still doing my new job. Here’s the state map (I showed this on Monday’s post) - this time with the expected order of finish. See you on Laird St, Omaha NE! Birthday 49 Challenge 2: 49 Races before I am 50! 49 is the theme of the week. Today I ran out my age in GPS in Seattle! If you read yesterday’s post, you know I am laying out a number of challenges based on turning 49 today. 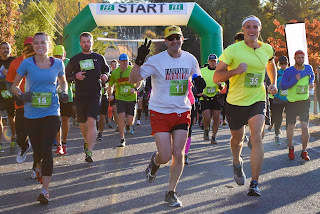 The first up was my annual fundraiser where we support three amazing charities - The Andrew Reisse Memorial Fund at UMD, Science Camp Scholarships at the California Science Center and the Run Laird Run at a Children International center in India. Here’s the link to donate if you can. All donations will be matched dollar-for-dollar. https://www.justgive.org/lairdo49. Thank you to everyone who has donated! The fundraiser will run for 49 days. Today’s challenge will be one for the whole year. Alongside finishing up the next 10 states to hit 50 state marathons, I am going to try to run 49 races of any length during this year. Anything from 5k and up counts. That’s basically a race a week, but happily, I have a number of events planned where I can run multiple races in the same weekend - the annual Star Wars races at Disneyland for example. 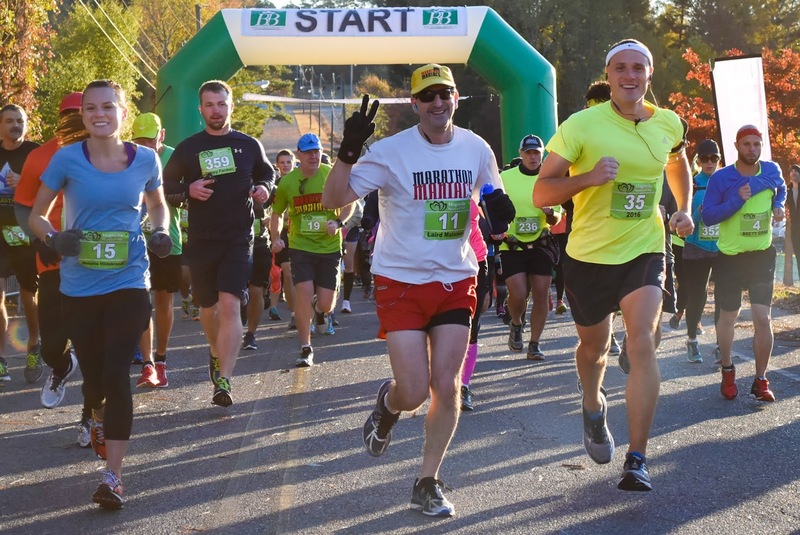 And the Raleigh North Carolina race next April features a 5k on Saturday and the full marathon on Sunday. So, while I do not have this fully planned out, I think I can pull it off. Seattle has tons of races, and even some on weekdays. Happily, today on my birthday, I’ve logged race number 1 of 49! 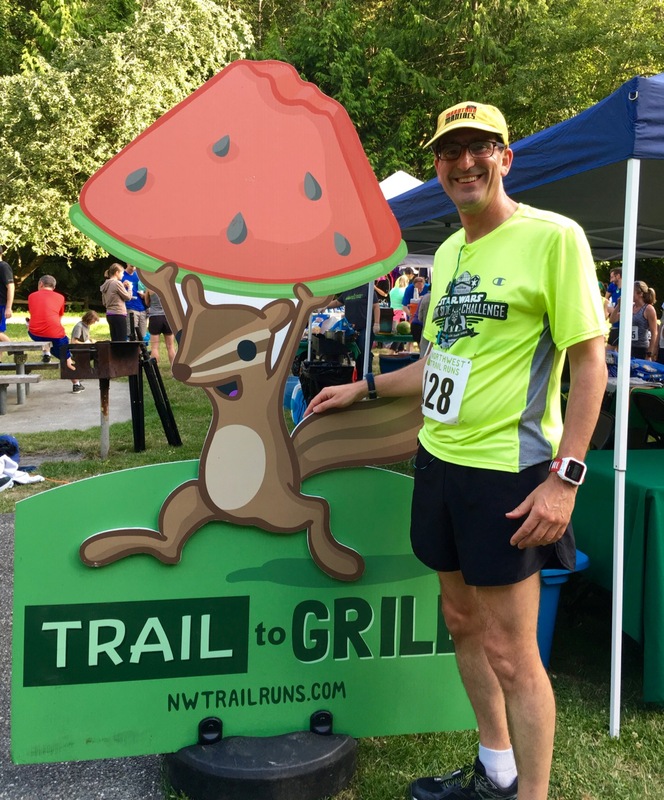 The Northwest Trail Runs group puts on a summer series called Trail to Grill. Basically run a trail race and then they feed you hotdogs and hamburgers. How could I turn down a chance to run on my birthday again (only the 3rd race I have ever done on it) and put in a 2nd 6 miles on the same day? 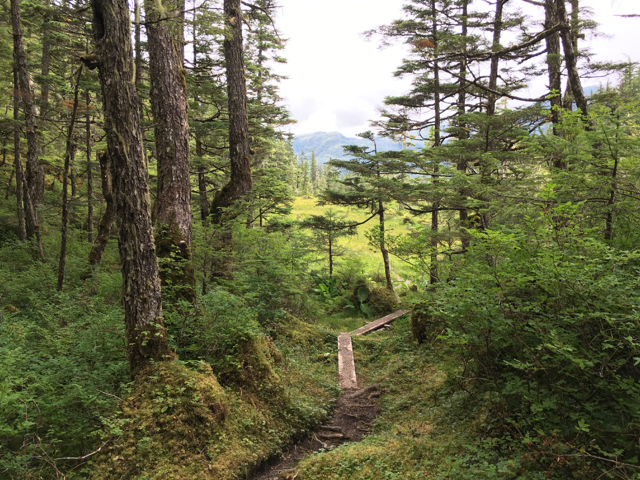 The race took place in Carkeek Park and featured a very steep double loop of single track trails. 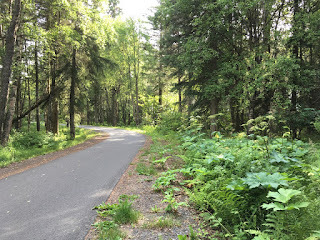 The day was warm but the path was well shaded by the dense foliage. The race was well organized and started right on 6:30 PM as scheduled. With nearly 1000 feet of elevation climb, my time at 57 mins was not a fast 10k, but it was enjoyable overall. The steep parts were steep enough to be challenging but not a forced walk. The downhills fast and somewhat rolling which made me feel like Indiana Jones escaping the bad guys. You can get a feel for the steepness from this short movie. Earlier in the day, I had run a moderately paced 9.8K (200x49 meters) as I spelled out my age via my GPS track (see image at top). 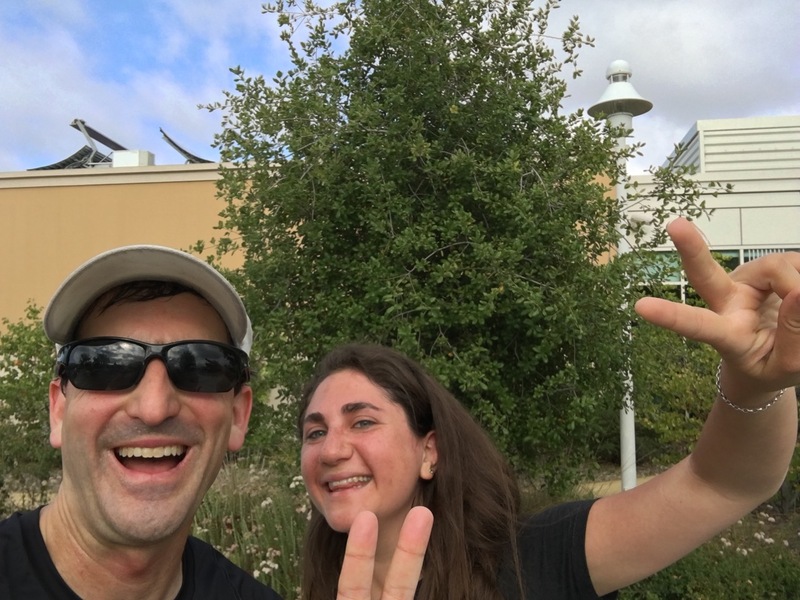 So, this was a fun way to double up the running and keep in the theme of twos for this birthday: 2 runs today, 2 marathons in the next 2 weeks (Alaska and Utah), 2 pairs of 49 (my age and state of the union 49 Alaska), 2 six-mile runs on my birthday and all donations get doubled. 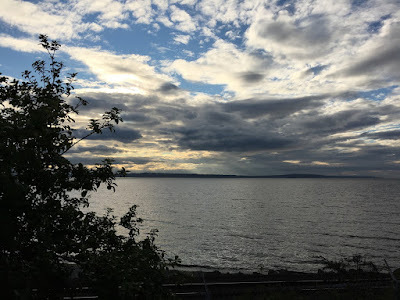 At the end of the race, I made my way back to my car which was parked near the park’s beach to find a lovely summer evening sky. Stay tuned on runlairdrun.com to the 49 Race Challenge list at the top of the right column. My trainer used to sing (if one could label what he did “singing”) that ditty prior to the start of San Francisco 49er football games. While the trainer’s name is long lost out of my brain, the tune has stuck with me. I think the original lyrics relate to Carolina or something, but the 49er part is on my mind. To celebrate my 49th birthday, I am kicking off a series of challenges - some to my friends (this one! ), some for me and some with my Oculus running pals. I’ll talk about each over the next few days leading up to my next marathon - the King Salmon Marathon in Cordova, Alaska. Children International is a nondenominational organization creating and running education, sports and medical facilities in a number of developing countries worldwide. I visited their Chilean site in 2011 (a place now closed as Chile is no longer considered a developing nation), and we have supported 4 children in the Philippines for a number of years. Donations to CI go to support a new facility to serve over 7,000 kids near Daraga Philippines. Last year, we funded the RunLairdRun Room in a facility in India opening in 3 weeks! That sports themed room will be part of their athletic program. New to our fundraiser this year is the California Science Center. I was honored to be elected to the board of trustees and began serving in January. This is the home of the the orbiter Endeavour. I have been going to this museum since I was little. Donations will support Science Camp Scholarships. Thirdly, our Oculus charity that I helped begin in 2013 continues to provide scholarships to the University of Maryland’s Computer Science program in memory of Oculus cofounder Andrew Reisse. I was able to visit the school in late April, and I am hoping to return in the fall to meet with a number of professors and students interested in VR. However, I won’t expect you to to help out these amazing causes with me sitting around idle. Last year I ran on my actual birthday - the first time I have been able to achieve that. But why stop at 1 marathon when you can run 2 in 9 days? Only my second ever Monday marathon (the first being Boston in 2009) will find me up super early to run in the Desert News Classic on Pioneer’s Day in Utah - a race that finishes among the Salt Lake City Pioneer Day Parade. I do hope you’ll join me in supporting these great charities. Every donation will be matched one-to-one by us. So, if you give $49 (see what is going on here), we'll kick in a 2nd $49 for the charity. Or give $9.80 (4.90x2), and we’ll do the same. Heck, why not $49 to all of them? By the way, here's the current state map - I'm looking forward to filling in Alaska and Utah! Early April found me truly in the heartland of the US on route to my 39th state marathon. Within 120 miles of the geographic center of the contiguous lower forty-eight, I was about as central as I was going to get on this 50 state quest. Splitting time between San Francisco and Los Angeles as I do, I quickly had a distinct sense of being somewhere “else” - a venture beyond metropolises. 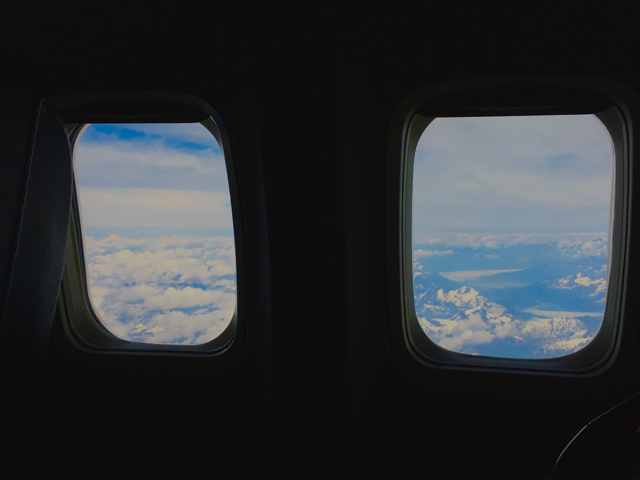 I flew into Kansas City from Seattle where I had been for our new office opening. Seattle itself is not big, nor is Kansas City, but within 20 minutes driving west on I-70, I was definitely in the country. Fields surround the freeway, and while not flat, definite plains are in abundance punctuated by a handful of small villages. 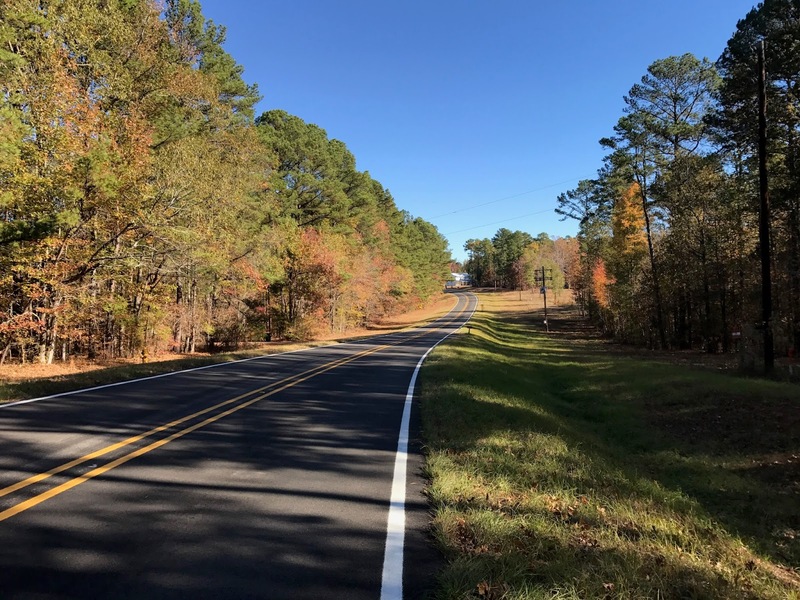 Any intestate buffers the driver from the realities of the local area in a way that back roads do not. I remember on a race in Wisconsin that I purposefully drove the local routes to enjoy the varieties I found. To reach Abilene though, pretty much the freeway is the only option not doubling the journey from two hours to four. 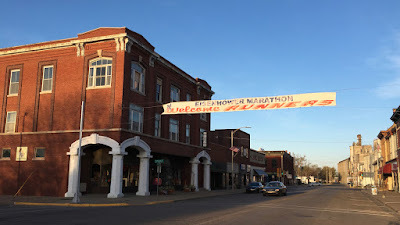 Needing to check into my B&B and to make it to the race packet pickup at a reasonable time precluded those extra hours. However, since that freeway became a tollway about halfway to Abilene, I popped out of my Hertz rental cocoon to hand a few bucks to the toll taker. My first real interaction in Kansas reminded me that I was not Los Angeles any more. She thanked me with a smile and wished me a “blessed weekend” with a cheery wave as away I drove. Nothing about this was fake or forced. She probably said the same words every minute of her shift. This was how she greeted the weekend and the motorists on their way to wherever. I pondered this salutation as I drove on to the center of the country. The midwest is known for being friendly, but I think those of us on the coasts either do not understand what this means or look down upon its honesty. Throughout my weekend stay, everyone I passed gave a nod or a friendly wave. At the $25 Neil Diamond Tribute concert I attended after the race (it’s ok readers to pooh poor this corny choice but it was actually enjoyable), my seat neighbors were chatty and inquisitive. Same at breakfast the next morning. And little time was spent on things like where you work and what not. Nancy and David at that morning meal dove headlong into a whole host of issues from local politics (they hailed from Wichita) to home remodeling to living in Europe which turned out to be a shared experience for all of us. 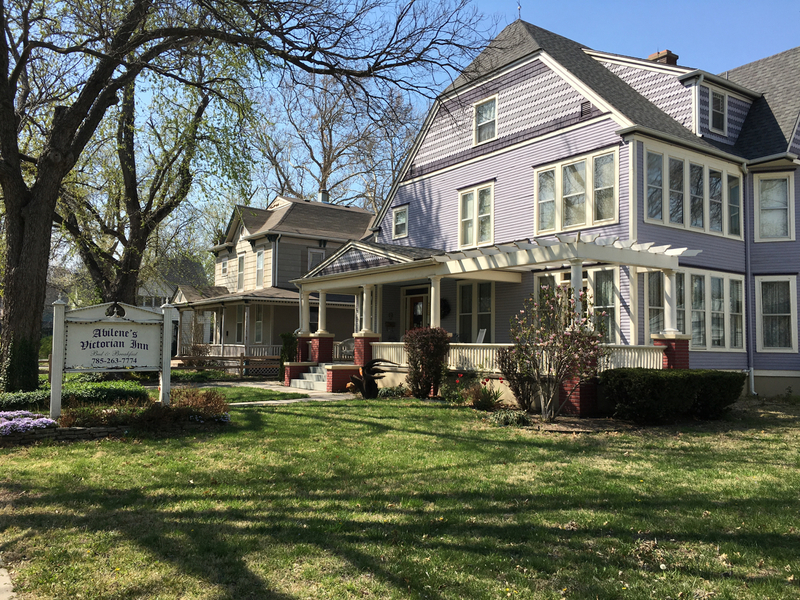 Adrian the innkeeper at the Abilene Victoria Bed and Breakfast gave me a big hug when I left and told me to book early for the next marathon. In fact, quite the opposite occurred. As I walked the rather deserted but not rundown streets of Abilene, I tried to soak in and enjoy the runner welcome signs. Nothing fancy, just a friendly greeting and acknowledgment a twelfth year of running visitors were in town. At the local grocery store, the woman who bagged my few items asked if indeed I was there for the race. I guessed she probably knew everyone who normally frequented the store. She offered me a big welcome and a genuine hearty good luck while marveling that I had come from as far away as California. I thanked her and did amiably offer a small quip as I apologized for all the “extra traffic.” She got it and laughed loudly but honestly as she handed me my sack of snacks. 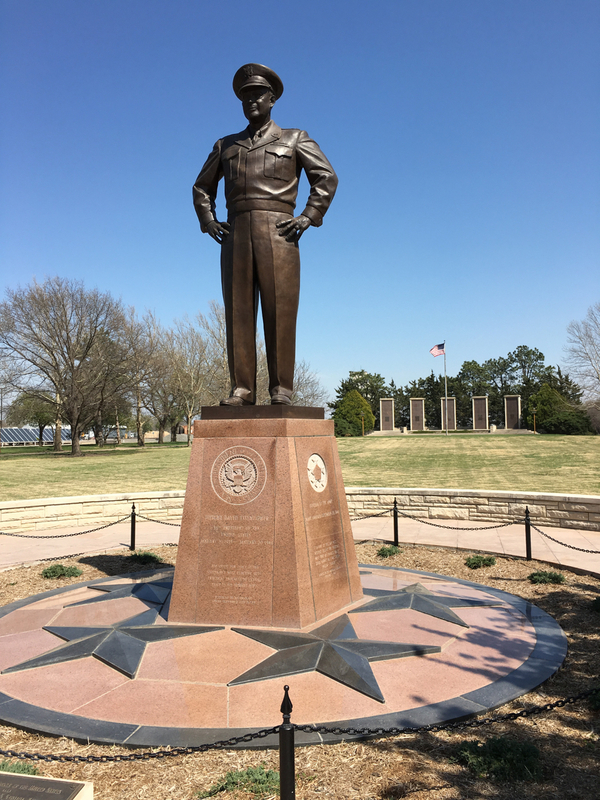 Dwight D. Eisenhower, Supreme Commander of the Allied Forces in World War II and 34th president, grew up in Abilene. This is why his burial place, library and museum sit around his ancestral small home. 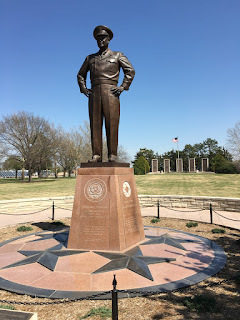 When Ike returned from World War II to multiple ticker tape parades, it was the one in Abilene that pleased him the most. He was born in Texas, but his family relocated around the time he was 2. 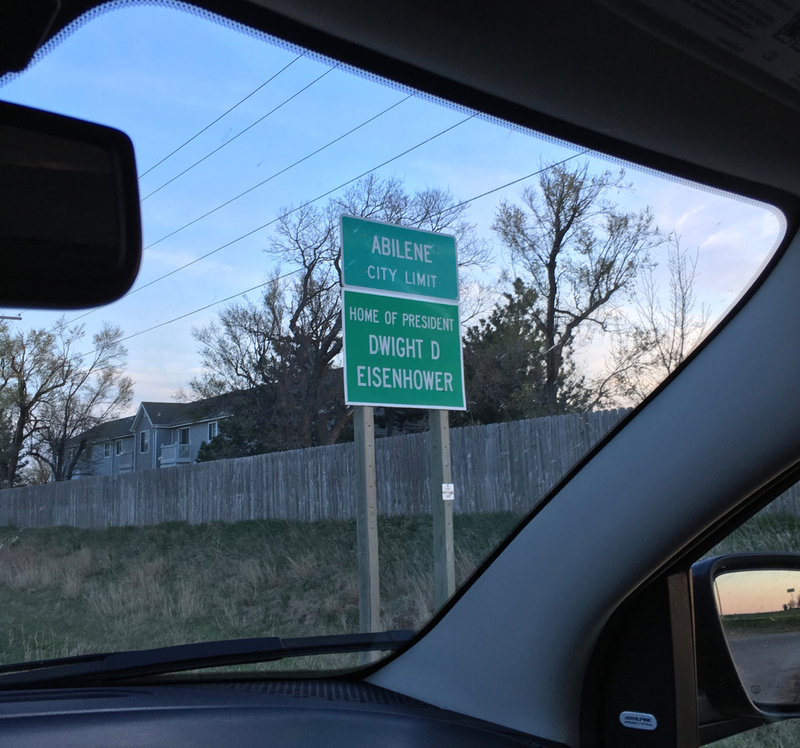 So, Ike considered Abilene his home and the source of his friendly attitude and the reason for his winning smile. 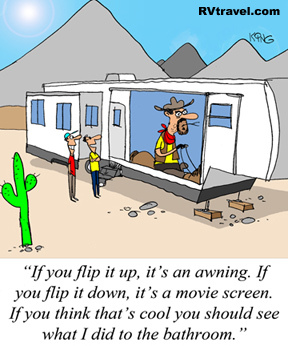 Having read a number of biographies of Ike and some of his own writings, this simple view of life is evident. He was not the orator of Churchill or the larger than life FDR or the big ego of Montgomery. He was closer to Truman (who lived in Missouri less than 3 hours away). Yet he was forged by the small town values and that of his military training and service. I have been a fan of Ike (particularly in his role of general) since working on Call of Duty and reading a flurry of books on the war. I found this visit to his home town (my second) relaxing and appealing. The Inn I stayed in, owned and operated these past ten years by Adrian and Jay Potter, was delightful. Victorian in theme and name, the house was built in the 1880s. 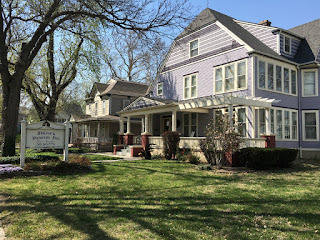 It housed Ike’s good friend Swede Hazlet (who is credited with encouraging Ike to enter the military academy) and is on the list of protected venues. The food was great with Adrian ensuring I did not have any dairy or gluten products. The 15 minute walk to and from the race another big plus. Ike titled one of his biographies “At Ease” and that feeling was how I would describe my two days. In fact, I think this relaxed mindset translated into my fantastic run. Starting at the Eisenhower Presidential Library, the double out and back course was not all that spectacular. We did a lot of roadside running and enough miles in a park to break up that monotony. The headwind on the outward tracks was annoying but refreshing upon the return legs when it became a push in the back. In the end, I clocked a 3:45:40 time - my fastest since July 2013. I would say I ran relaxed except when I had to really push against the wind. 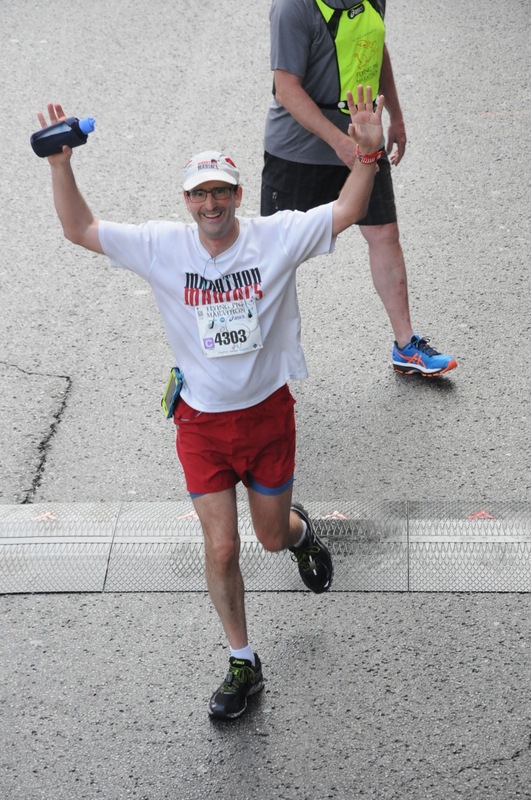 At the finish, I happily raised my arms to celebrate crossing off Kansas. The next day after breakfast, I was back onto the concrete ribbon of I-70 to the bigger world but thankful for this chance to spend a few hours out of big city mode in the middle of the country. Coming in my next post - Star Wars, Disney and Running - a perfect trio of races at Walt Disney World.